No perfume genre has had a harder time assimilating into the 21st century than the chypre. Often seen as the steely-eyed, stoic bastions of complex perfume personalities, the chypres of the world, take time to love. Established in 1917 by François Coty, the chypre genre has long been associated with the classics of French perfumery but can now seem dated, harsh and too complicated to understand. Personally I love a chypre. I adore their often standoffish nature and on the flip side, their sometimes cuddly, fuzzy hearts. For his latest launch, Chypre 21, perfumer James Heeley intends to drag the chypre into the 21st century whilst paying homage to the classics of the genre. He wanted to create “an ode to Parisian chic” in the form of a “contemporary unisex fragrance” that takes all of the requisite building blocks of a chypre – bergamot, rose, patchouli, oak moss and sandalwood – but modernises them into something altogether more befitting of today. The result is both nostalgic and forward thinking. My experience of the Heeley line (brainchild of designer James Heeley) has been generally positive, and my impression so far is that it is a line full of interesting, innovative creations which simply must be tried. What I really like about Heeley Parfums though, is that they present themselves with no pretence, no gimmicks, they just say “here we are, come smells us, don’t we smell good?”. But don’t be fooled by this simple approach, the Heeley line actually consists of a range of unique and complex perfumes with highlights such as the beautiful iris ‘Iris de Nuit’, ode to the sea ‘Sel Marin’ and almost comic ‘Esprit du Tigre’. Late last year James Heeley decided to expand the line with a trio of Extrait de Parfums that take the Heeley aesthetic to a new level of luxury without compromising the overall ethos of unique creations presented in a simple and clear manner. Each Extrait, like the entire Heeley line come to think of it, doesn’t feel the need to shout its message, instead it confidently speaks in a ‘take me or leave me’ manner. The Heeley Extrait de Parfums are a “collection of quite different scents made from exceptional ingredients, each with an intensity and depth that create a luxurious, ‘haute couture’ feel” and were created because James Heeley wanted to work with his favourite materials in higher concentrations. 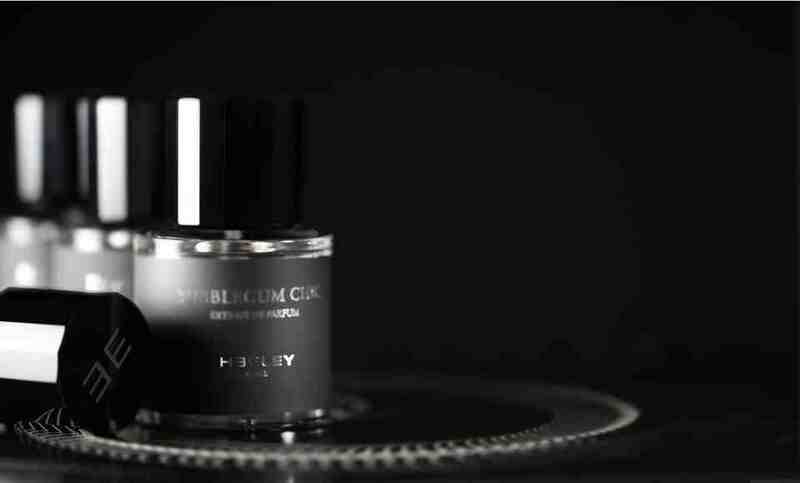 Heeley succeeds in creating a collection of three perfumes – Agarwoud, Bubblegum Chic & L’Amandière – that are not only high quality but are also high-concept interesting interpretations of familiar themes.